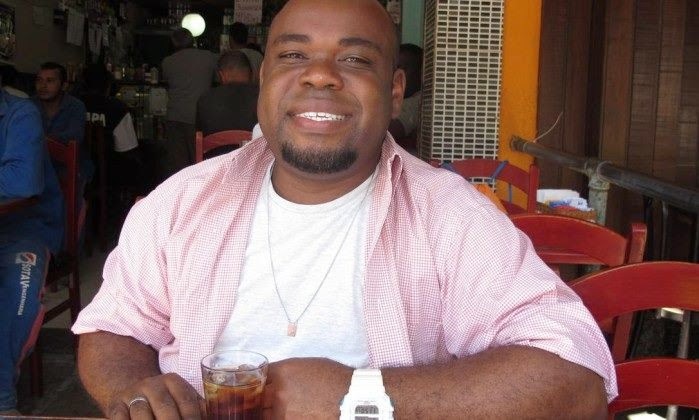 We're very privileged to have as our percussion teacher Carlos "Manguerinha" São Vicente, director of percussion at the Vila Isabel samba school, universally respected professional musician, and music teacher with more than 10 years of experience. As well having mastered the musical and pedagogical side of giving lessons, including a thorough knowledge of the o Passo method of rhythmic teaching, Mangueirinha is great at teaching and dealing with kids. He's definitely of the "firm but fair" school of teaching but also manages to create a fun atmosphere in the lessons as well and always establishes a good rapport with the children. Anyone who wants to learn how to work with groups of children could do much worse than watch a lesson with Mangueirinha. Mangueirinha grew up in the "Morro dos Macacos" favela in the North of Rio and also discovered his talent for music as a youngster through local social projects. Thanks to this experience he understands our students very well - their motivations, their outlook, their every-day environment and experiences. When it comes time to communicate with the children to try to motivate them, inspire them, or work on their behaviour, this deep understanding of their perspective is priceless.